As you could have seen on my blog, I've been having lots of fun lately with the cut files from The Cut Shoppe. 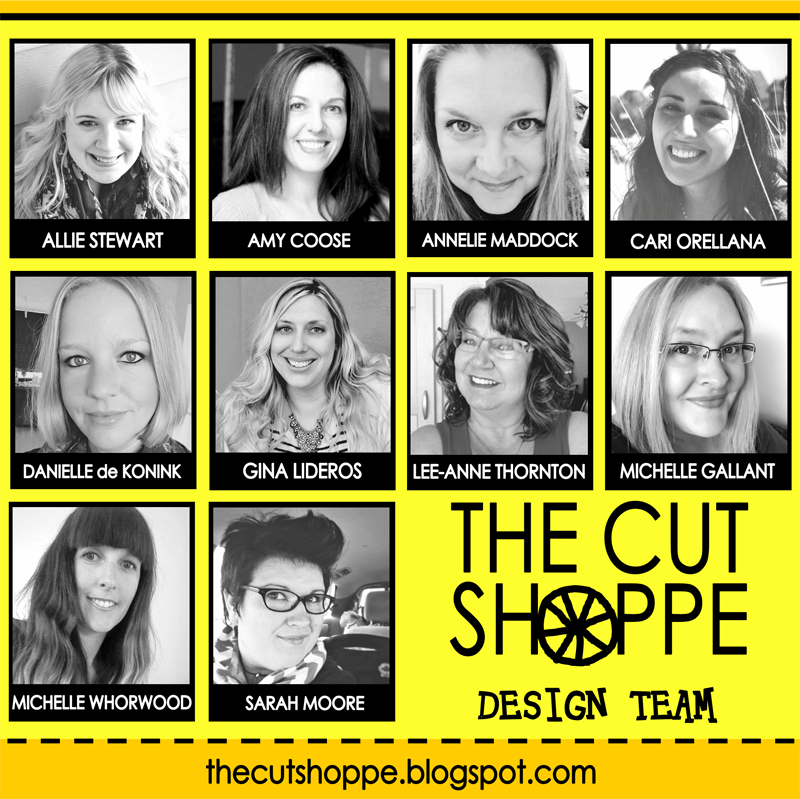 So it's with so much joy and pride that I can share that I'm part of the Design Team of The Cut Shoppe!! These are the amazingly talented ladies who are on the team with me. We will share our creations made with the cut files over at The Cut Shoppe blog. All the cut files are available at The Cut Shoppe Etsy store. You can also follow The Cut Shoppe on Instagram and Pinterest. A big thank you to Ashley for having me and I'm looking forward to a fun term on this team! Congrats! How fun! I just recently found the Cut Shoppe and the designs are awesome. Looking forward to seeing what you create with them! I love what you've been doing with the cut files so far Danielle, and I'm really excited to have you on the team! !